Hurrah! Finished. I was literally writing the last line as my 30-minute timer went off. 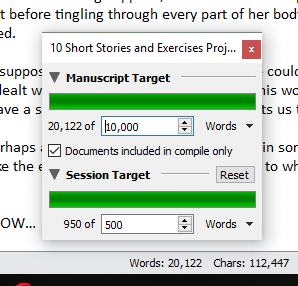 This story will need more editing than the previous bonus one, but it helps set up the novels rather neatly. I am excited about this. I think I will move directly on to drafting the next bonus story tomorrow, keep going with at least one 30 minute writing session. This way I have a rough draft to polish and preen, rather than nothing at all. The edits can be difficult, but having something to actually edit and redraft is the best way to ensure they are successful. Stories often change in the writing, even if you have a plan or an outline. Things happen, characters grow and suddenly what you thought might happen seems ridiculous. Stories are alive, always have been and always will be. I love that.